Two rows of Christmas elves hold hands like paper dolls on this Christmas stationery. They are surrounded by a bright plaid border. 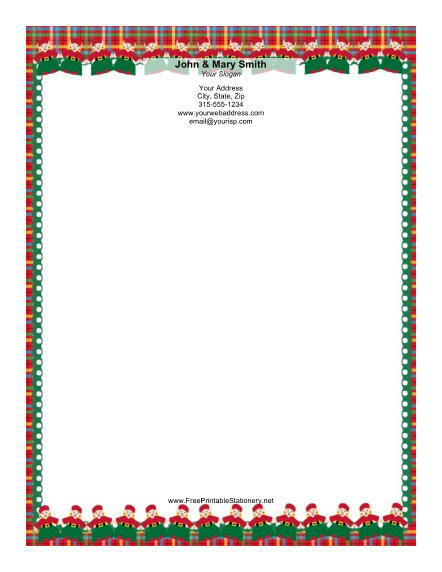 This nostalgic Christmas paper is a great choice for letters to Santa or holiday greetings.